Want more genie info? This article is being expanded into a book, and not the stuffy boring kind, either! Add your e-mail to get notified when it's out. Mommy, where do genies come from? Genies, or jinn as the Arabic word is Romanized, come from a long line of mythological creatures dating back to 2400 BC. According to the Qur’an, God created jinn out of the “fire of a scorching wind”. It wasn’t until later that humans were made from mud and clay. Clearly the jinn got the better end of that deal. No source states how much time passed between the birth of the jinn and the birth of humans. They had plenty of time to form their own societies, found their own religions and write their own laws, so it’s a safe bet to say “quite a lot of years”. Jinn are much more than demons or spirits. They’re intelligent, free-willed creatures who live close to nature and are endowed with magical powers. Very much like humans, only more supernatural. Some of them are good, some are evil, and still more are somewhere in-between. We can pretty much count on them being tricksters in one form or another, so as a general rule, don’t go out hoping to meet a jinn. “The jinn came in every shape and size, some with hooves, with long tails and flapping ears; some with bodiless heads and headless bodies”. The race of jinn is filled with different types of demons and spirits, each with its own place in the pandemonium. There are shaitan (a proposed inspiration for Satan), nasnas, ghuls (the origin of modern day ghouls, just as far removed from the original as genies are from jinn), ifrit and marid. Marid jinn are usually the ones we find imprisoned in bottles. They’re the most powerful and arguably the most evil of all the jinn, which makes their recent kittenification all the more ironic. Sadly, the race of jinn eventually made the big guy upstairs mad, causing them to lose their great civilization and scatter to the wind. Some were even imprisoned in the process, proving there’s no good reason to skip that extra calf/sheep sacrifice at the end of the day. Since then, jinn only appear when they want to mess with humans. There are even tales about human-jinn mating taking place, not to mention theories that Adam’s first companion was actually a female jinni, not the rib woman Eve. It’s just a word, apparently. The first few centuries around the Mediterranean were exciting times. The Romans were doing quite well, conquering lands and being all prosperous with their massive amounts of wealth. Some of the land they nabbed includes parts of modern day Syria. Here, the people of the city of Palmyra had a slightly different interpretation of the jinn legend. A Palmyran gny (sometimes jny or ginnaya) was a guardian angel of sorts, watching over people, homes and families to make sure everything was a-ok. No curses or wishes or mating, just hugs and friendly warnings that it’s about to rain, might want to take an umbrella. It’s this interpretation of jinn that was installed in ancient Roman culture. The Latin word genii refers to these benevolent attending spirits, not their sinister cousins. The singular form of genii is genius, which is certainly a familiar word to all the lovely folks reading this article. Back in the day, people who were intelligent, creative and talented attributed those qualities to their genius, their guardian spirit. Later, society decided “screw those invisible spirit things, I’m smart because of brain”. And everything has worked out just fine for the human race since! Fast forward to the 18th century and things get really interesting. By this point, the Roman Empire has long since split up (sad face) and Latin has broken into a handful of different languages. Each of them carries some form of the Latin genii, but since those old pagan beliefs were falling out of favor, another meaning was eclipsing the word’s supernatural origins. The root form gen- asserted its “to produce, create or inspire; warm or cheerful in manner” definition. Modern English still carries those fragments in words like generate and genial. Then comes Antoine Galland, puffy wig on his head and a copy of The Arabian Nights’ Entertainment tucked under his arm. Galland was the first to translate the collection for a European audience, rendering the French version in 1704. When he came across the Arabic jinni, he thought it really sounded a lot like the French word génie. Two thousand years earlier he would have been spot-on. Subsequent translations had an easy time pulling off that accent mark for other European languages, so the translation stuck. Jinni was now genie. This new marriage united two words separated by several thousand years of history. Their meanings, however, refused to mingle. Jinn stayed as jinn, the desert-dwelling creatures of old, but the younger, prettier genie held on to its newfound “happy” definition. When European readers saw the word genie, that’s what they pictured. Not some ancient demon trying to get it on with Adam. Phase two of kittenification complete. Way to go, Galland. Now that Europeans know about genies, it’s time to start stuffing them in bottles. 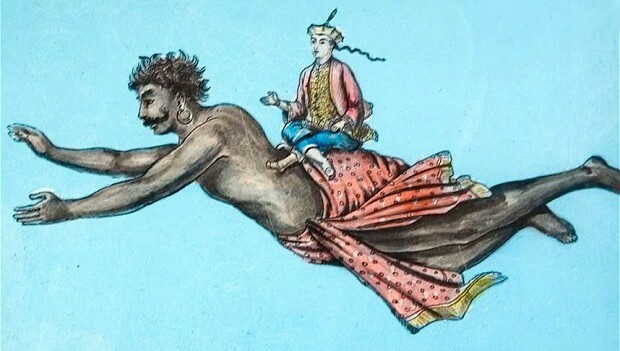 The stories in Arabian Nights had been floating around the ancient world for hundreds of years. 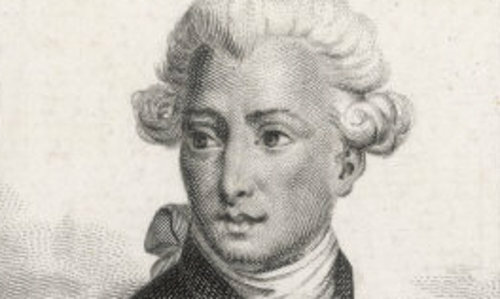 Galland’s translation was the first most Europeans had heard of it, so nobody really noticed when he added a few self-authored pieces to the collection. These orphan tales include such smash hits as Ali Baba and the Forty Thieves and Aladdin, the stories most westerners talk about when discussing Arabian Nights at the discotheque. With Aladdin came a serious genie/bottle connection that is likely the reason modern genies are always trapped inside them. Before that, though, Arabian Nights did manage to connect the two. For example, The Story of the City of Brass follows a group of travelers searching the Sahara to find a lost city. Of brass. Their side-quest is to locate a vessel that supposedly held a jinni imprisoned by King Solomon. The life of Solomon and his God-given jinn-controlling ring is a fascinating topic on its own, but this seems to be the legend that first started shoving genies into small containers. In another story from Arabian Nights a fisherman actually discovers this brass vessel and opens it. Guess what pops out? A big evil marid jinni named Asmodeus! After being trapped for 400 years, Asmo wasn’t in the greatest of moods. He reveals he has long contemplated how to reward/punish the one who freed him from his prison. One of his ideas was to grant this person three wishes. Instead, though, he lets the fisherman choose how he will be killed, which isn’t nearly as polite as it sounds. Still, the jinni mentioned wishes, and this seems to be the earliest specific reference to three wishes being granted by a freed genie. It’s the tale of Aladdin that really sets the genie in the lamp story in place. Aladdin is recruited by a sorcerer to retrieve an oil lamp from a magic cave filled with traps. The sorcerer gives Aladdin a magic ring that’s supposed to protect him in this cave. Far into his journey, Aladdin starts to fret and rubs his hands together like an old worrywart. A genie pops out of the ring and whisks Aladdin back home, magic lamp in tow. Aladdin’s mother sees the lamp is dirty and decides to clean it. Rub rub rub, another genie appears, and this one is bound to do the bidding of whoever holds the lamp. Aladdin becomes rich and powerful, the sorcerer comes back to stir up trouble, people die, other people live happily ever after, so on and so on. The wish granting genie tale was out of the bottle, and 18th century Europe loved it more than Harry Potter. With so many dateless stories in Arabian Nights, it’s difficult to tell exactly when genies stumbled into the role that would typecast them for centuries. 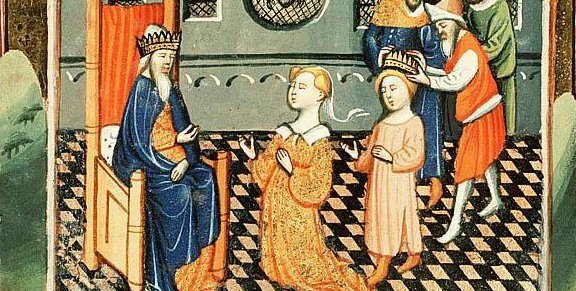 The tales surrounding King Solomon are the most likely culprits. Sources claim he even had hundreds of jars stuffed with captured jinn. His reign was between 970 and 931 BC, which puts a neat little cap on the earliest references. The genie trapped in a bottle trope is about 2,984 years old. Despite the efforts of Galland, Solomon, ancient Palmyrian storytellers and the almighty Allah, jinn in their traditional sense haven’t become extinct. They’re alive and well in modern Arabic cultures, haunting abandoned ruins and possessing the odd human or two. Even modern western culture has preserved slivers of the original jinn, hiding them away in fantasy novels, video games, comics and the like. You can exterminate them, distort their name and turn their legends into kids’ stories, but when something is fashioned out of the fire of a scorching wind, it won’t stay silent for long.